First project, this flannel Christmas quilt. This was one of those projects that took a third of the time I thought it was going too. I really think the longest time will be spent doing the binding on this lol. I have some green flannel to back it with and I am looking forward to snuggling under this come Christmas. Next, a random Bali pop. I have debated on what to do with this. 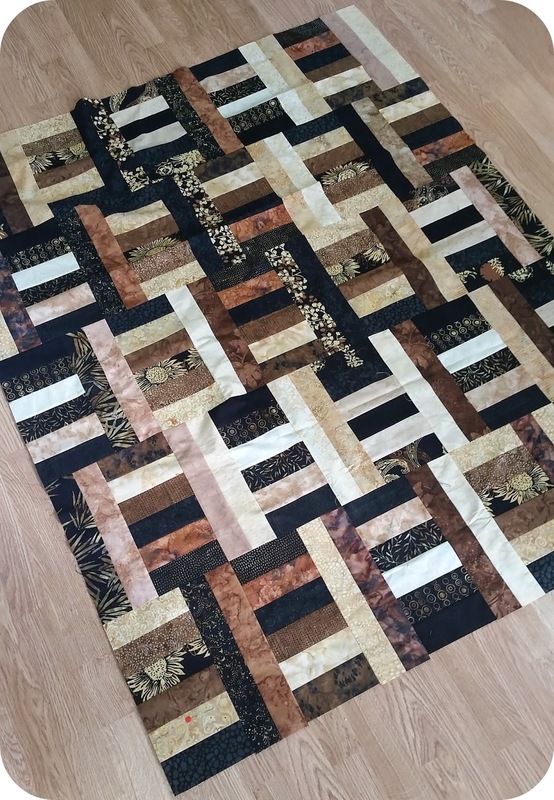 I even thought of giving it away but than I saw the jelly roll jam quilts and that was it. 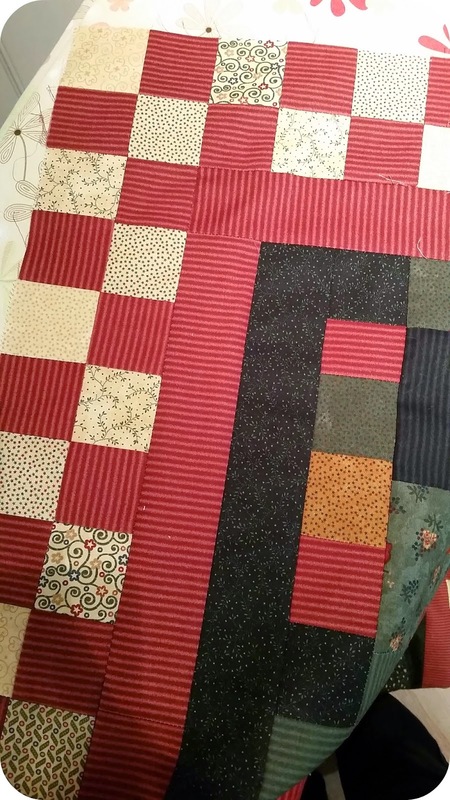 Lastly, another Christmas quilt. This one uses Kansas Troubles fabrics. I was hoping to finish it up but one more border needs added so you get just a snippet. Fingers crossed I get it finished tonight. 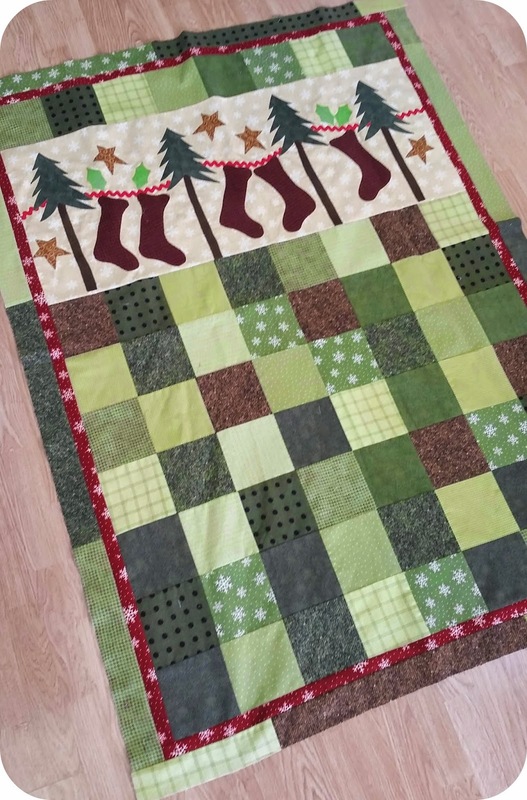 I have one more Christmas quilt kit left than just a few more precuts and some UFOs. It's pretty exciting to see the bottom of my bin! You've completed some great Christmas things there, but now it's time to start filling up that box again otherwise, what will you do next year?